In business today there is never be room for delays in deliveries. 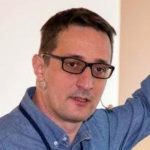 In this interview, Karol Kroll shares how AirMobile can help find issues and root cause problems before users complain. This is an interview with Karol Krol about their Air mobile app. If you have a Windows or Android devices, it’s a great way to find out what the driver is actually thinking and figure out how it’s making its decisions. Hello! Anyway, we’re here and wanted to talk to you a little bit about how you’ve been involved in Wi-Fi for quite a few number years. You have some very cool tools you presented at WLPC Budapest and in Berlin. So, just a little history of your company, where you come from and what’s your product do? Alright, thank you! So yes, Wi-Fi – it’s been a while in that way or another thing it became the year 2000 and then it kind of evolved and now it’s here mobile for the last couple of years. We offer services like consultancy services, test products, we help companies stream their network. Then in this process, we realized we needed a new tool that wasn’t out there. We tried different things and we realized that you need to know what clients are doing, the Wi-Fi clients. We realized we needed a new tool that wasn’t out there. We tried different things and we realized that you need to know what clients are doing, the Wi-Fi clients. So, you’re saying there is no tool available that lets you see inside the client driver? Right for instance. I mean you can have a packet capture, you can have sensors. But, still a lot of those decisions are client based and you don’t know what they’re doing and you don’t know if they fail or it’s the network that’s failing. There can be a lot of reasons, a lot of things that can go wrong. So, we wanted to include the client inside the measurement loop and hence, we got the AirMobile product. So, what’s the secret behind that works? How do you get inside the client’s decision making process? Well, we’re not really doing it. We’re just trying to see what they’re doing. We’re trying to do two things actually. So one of them is verifying connectivity by sending simple pings to two destinations. One is would be the nearest near end, say you’re out of your router default gateway. The second one would be a far being what can this be? It could be your critical server, Google or whatever. At the same, time you would measure radio low-level stuff like signal strength, neighbor Access Points, like channel signal quality. You could see right because the signal strength went down. You could just try to see and find the reason. Maybe I should be roaming, the client should be roaming, but it didn’t. That’s a typical thing, like a sticky client, a perfect tool to find a sticky client for instance. So this is an agent you put on the client? Yeah, that’s an agent! We have agents on Windows and Android as of today. We’re planning to address some other operating systems in the future. So the agent, is it tied to a specific firmware version number on that client? Well, no. It’s actually very generic. Does the agent track the version number? Yes, it does. You can tell the app that this is what’s happening. Before and after old firmware or new firmware, see if it fix the problem? Exactly! So you could get your stats to say last week we were running this firmware, in the next week we’re getting the new one and compared them. Sometimes could be worse actually, if you’re upgrading. You should probably see that. Do you want to do the test first to find that out? Right! That would be wise. So where does this data go? Is it generated an agent on a client? Does it have some scheduler that there’s a certain period? Right. That was just about it when we began, but later on, we soon realized there’s a lot of data. We need the server with some sort of visualization and nice GUI, where you can plot and put things into tables and this is where it’s going. …we soon realized there’s a lot of data. We need the server with some sort of visualization and nice GUI, where you can plot and put things into tables and this is where it’s going. These agents would default at once in a minute and say look this is a new data coming in. Then you can slice the data on a server that would be a web. So the resulting data from all this agent traffic is up to some cloud someplace you can check? Correct. It could be a cloud we could host it. It could be your own server if you feel for it. Is it my cloud or your cloud? That sounds like a great product for some customers. What kind of customers has gone on board with this tool AirMobile? That’s true. We have found a sweet spot for those that view their Wi-Fi network as extremely critical. All type of production environment would fit that description actually. When some of the clients stopped, the whole production line stops. That would be the first one there. We have found a sweet spot for those that view their Wi-Fi network as extremely critical. We have clients in mines, in production and in hospitals. When you have a number of important clients Wi-Fi based, you would like to know if they fail. When they fail, how often? How could we map it and avoid it in the future? Let’s say I have some process flow that if something stops, all the tracks stop. I’m losing 10,000 a minute or something. How can this information you gather help them save money? Well, actually it’s different. In some cases, you can just realize it’s a wrong driver, back to the old one. Or you can try to, we had customers that couldn’t really fix it by the driver. They’re just doing the workaround solutions, but they know. If this happens, it can trigger this workaround solution. So we are giving them, we’re opening their eyes really. So how close to real time is this data they’re receiving? Well, I mentioned one minute delay, which is kind of because how the system is set up. Then the day that normally would do is every fifth second. So the worst case is one minute. This isn’t much load on an additional load on your network to try? No. Very little actually. That’s just the beings when you do it twice. So when you do it two pings every 50 seconds, that’s not gonna ruin your network now. Great! 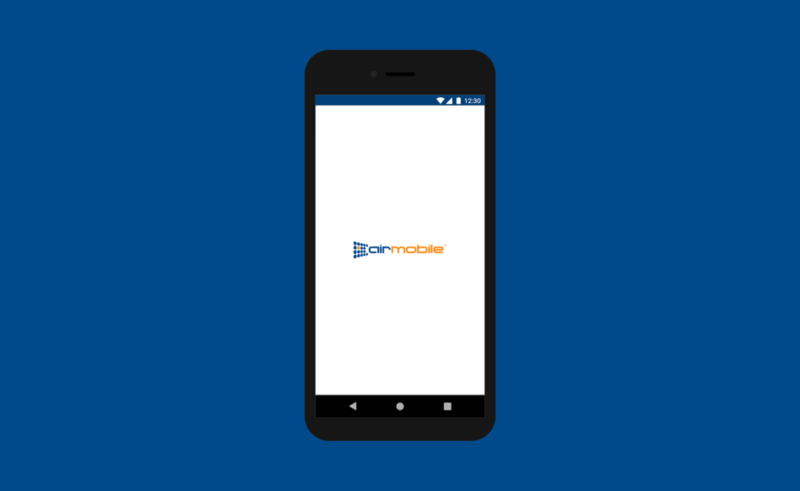 So what are your plans for AirMobile moving forward? Well, we have some interesting things that we prompt to release towards the end of the year and it’s something to do with speed testing. So the throughput testing which would definitely make our product more attractive and maybe sort of addressing a wider audience. Right now, how do people get a hold of AirMobile? Do you sell it through resellers? Sell it directly through these things? What’s the process? Both actually. We have a number of resellers. We’ve been historically quite active in the Nordics. But we would probably invite you to talk to us directly at first and then we could either do it directly or direct you to a reseller. Some have a friend. If I am at a hospital and I have thousands of clients and thousands of APs, is this something I need to put on all of my clients? Would I have like a subset that I would move it around to test different scenarios? Right. Yeah, that would be the subset probably. I mean you could do it. Nothing stopping you from doing this on each and every client. But, I think what we realized with all those tests and all those installations, you’d be probably quite okay and having a subset say five to ten devices of a certain type. Because you could see that they are behaving similarly, but again, of course, nothing would stop you from getting in on all of these clients. There’s a whole another type genre of support in Wi-Fi. 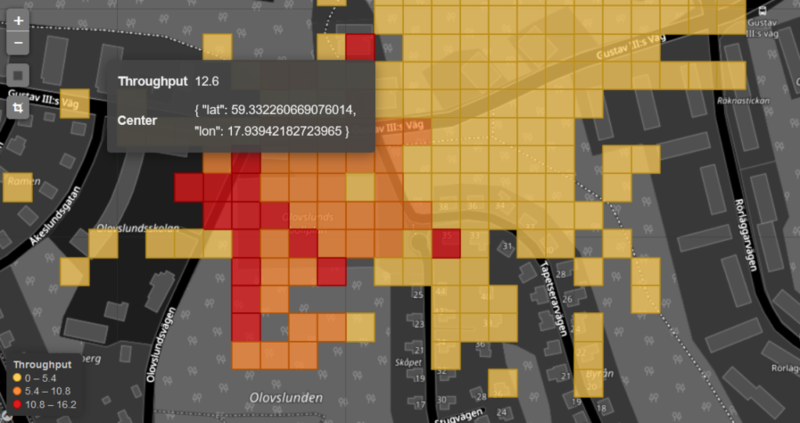 Today we have things like NetBeez, 7Signal or Cape Networks where they have a sensor network. That’s kind of babysitting or watching of Wi-Fi. How does AirMobile compare to those? Yeah, that’s exactly. We are including the actual client. The actual client is a part of our tests. When you have a sensor you could perfectly trim your network. But, then you still don’t know how your clients would react. How they would try with this network?. So that’s the difference. That’s the real thing. So this is complementary to one of those sensor networks? Do you get information of this that you could help also tune your network? Right. Of course, effectively you could. You find a problem. It’s on your client for instance. You could then tune your network to sort of be reacting to this problem in a bad way or prohibit this problem from happening. But that’s complementary. I don’t think very much of an overlap of all those sensors based products. Tuning your network, you’re saying “let’s look at it from the client standpoint and currently they’re not drivers?” They’re agents on Android and Windows, which versions of Windows? Windows 7. I believe it’s even actually close to Windows 10. We’ve made a lot of trials there and we almost have something there. We can do it more if we find a right customer to try it. 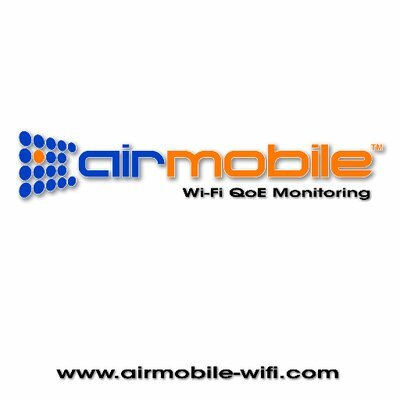 So if you’re worried about clients, you’ve tuned your network as much as possible and AirMobile is a solution. Where can you say, “ okay it’s not my network, it’s tuned as close and let’s see what we can do.” Do you have any of your customers who take that AirMobile data and respond back to the vendor saying fix your firmware? Yes, but then again it’s a limited experience. It’s a difficult process because you normally go back to your vendor. You could go to a vendor or to a cheap manufacturer that can fix it. That’s normally a long process and it’s a very painful process. But they need data to support it. Of course, that’s true. But then a lot of our customers just realize it and did try to get some other workaround, which most of the cases is the solution actually. What else do you do here in Sweden? I hear you have other things you do like classes? We do have, it’s all about Wi-Fi focal point for Wi-Fi activities. We have classes and consultancy business. Our sister company is 7lab and some people might kind of mix the two. AirMobile and 7lab are same but different, right? 7lab is the consultancy services, training, and test products for Wi-Fi and the product itself is Airmobile – it’s a company itself. Final question – if you could change one thing in the way 802.11 works, what would it be to make all of our lives better? That’s difficult and I don’t know. Maybe kind of channelized 2.4 GHz with small channels. Maybe 5MHz, 2MHz something like this. It wasn’t a plan, but then some people left it out. For IoT, you don’t need those big channels and we only have three to play with. What if we had 30 to play within, their little? Right. Because that’s more than they need these devices, but there are probably other things one could think of. I put you on the spot asking the big question. Well, thanks for your time and how would someone get in touch with you? The best way is to email me – [email protected]. The companies on Twitter is not me personally, it’s AirMobile. And the website is airmobile-wifi.com. Thanks for your time. Thank you very much. Pleasure is mine. Go HERE to listen to the entire interview.